What is a recommendation letter? A recommendation letter is written by a previous employer, colleague, client, teacher, or by someone else who can recommend an individual's work or academic performance. The goal of recommendation letters is to vouch for the skills, achievements, and aptitude of the person being recommended. Think of these letters as symbols, intended to represent an important person’s vote of confidence in a candidate – without having to go in person to a hiring manager’s office and make their case. Most often, a recommendation letter is sent to a hiring manager or admissions officer to facilitate an interview or introduction of the candidate. A letter of recommendation describes a person's qualifications and skills as they relate to employment or education. The letter discusses the qualities and capabilities that make the candidate a good fit for a given position, college, or graduate school program. The letter recommends the individual for a job or for college or graduate school. 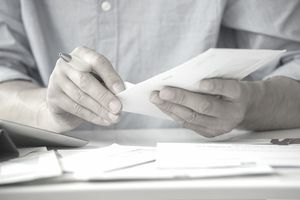 Recommendation letters are typically requested on an individual basis and are written directly to the employer, other hiring personnel, or an admissions committee or department. Choosing the best people to write your letter of recommendation can be tricky. It’s not simply a matter of making a list of all your former bosses, professors, and colleagues and picking the ones who seem likely to make the time. You also need to make sure that the writer is someone who will take the task seriously, and devote some care to the project. A vague or hastily written letter of recommendation is worse than none at all. Beyond that, the writer should be someone who can speak directly to the quality of your work. A hands-off manager from 10 years ago is obviously not the best choice; neither is that coworker who misspelled your name on the company holiday card last year. Are familiar with your work, and feel strongly positive about it. Have the time to write a letter that will truly impress a hiring manager. Are in a position of authority or otherwise have a reputation that will mean something to the employer. Have a friend proofread your communciation both with the people who are writing your letters and the final letters themselves. Pay close attention to the spellings of company names and other branded entities. Do not let common sense be your guide: marketing speak has a spelling and grammar all its own. While it’s best to take up as little of their time as possible, if you notice something seriously awry with the letter of recommendation – an error in dates, for example, or a misspelled company name – it’s perfectly OK to ask the recommender for a quick fix. Unlike a personal reference, most letters of recommendation are written by professionals such as prior supervisors, professors, or co-workers. A letter of recommendation will usually describe the applicant’s background, education, and prior experience in a way that highlights certain skills and attributes. While recommendation letters and reference letters are somewhat interchangeable, a letter of recommendation tends to be more specific and directed to one person about a particular position, while a reference letter is more general and can be sent out for multiple postings. Our senior paralegal, Jefferson Adams, has asked me to write a letter of recommendation on his behalf, and I am more than happy to oblige. Jefferson has been my “right hand” since he joined our law firm, initially as a junior paralegal, in 2008. Within three years of his initial hiring he was promoted to senior paralegal tasked with supervising a team of up to 10 paralegals and interns within a fast-paced, accuracy-critical environment. Jefferson came to us as a recent graduate of Middlesex County College’s ABA-accredited paralegal program. He really hit the ground running, capitalizing upon his paralegal training to assume and deftly manage a heavy caseload inherited from his predecessor. Within two weeks he had brought a backlog of case files and chronologies up to date, at the same time ensuring that all court filing deadlines were met well ahead of schedule. Jefferson possesses a firm command of the processes required for the successful practice of personal injury law. A highly analytical thinker and excellent writer, he is adept in legal research and writing, all phases of trial preparation, and e-filing. He easily instills confidence in our clients, and skillfully negotiates court and meeting dates with opposing counsel. I thus highly recommend Jefferson Adams to your firm. While we will sorely miss his organizational talents, leadership skills, abundant energy, and cheerful and witty demeanor, we know that he will prove himself to be a splendid and productive addition to your legal team. Please feel free to contact me at the phone number or email listed here if you would like more information about Jefferson’s solid and admirable performance history with our firm. Advice on how to write a letter of recommendation, including what to include in each section of the letter, how to send it, and sample letters of recommendation for employment and academics. Reference letter and email message samples including academic recommendations, business reference letters and character, personal, and professional references.